Mississippi-born Lance became one of the most successful acts for Okeh Records, signed to the label in 1962 after being recommended by another highly regarded singer of R&B music, Curtis Mayfield. “Time” was his first single to chart and was an instant hit, going to #8 on the Hot 100 and #2 on the R&B chart. He would become best known for “Um, Um, Um, Um, Um, Um” (#5, Hot 100), which peaked the next year. Tamla Records put Smokey Robinson and his band on the map with a series of singles that went high on the Hot 100 and even higher on the R&B charts. This song was their third top ten on Billboard’s national chart and it also went to #3 on the R&B listing. Of course, with many bigger hits to come like “I Second That Emotion” (1967) and the #1 “The Tears Of A Clown” (1970), they entertained audiences for some time. Comedian and country singer Stevens has been recording music for over five decades and he’s still not run out of punch lines. His first top ten single in 1962 was “Ahab The Arab” (#5). This came the next year, and actually became a bigger hit on the R&B chart (#14) than on the pop chart (#17). Strange indeed, but he can be pretty strange sometimes. His latest release, “Guilt For Christmas”, came out earlier this year. The R&B trio out of Los Angeles made their debut in 1969 with a handful of songs that bombed on the national survey, but in 1971, they rose to #1 with the song “Want Ads”. “One” was the third in their string of top 40 hits on the Hot 100, having previously flopped for Joe Tex in 1965. After recording one more album which received little attention, the group split in 1973, though they’ll be reuniting in 2014 for a cruise. After splitting with Genesis and making a name for himself on the album chart in the U.S., the only thing Gabriel was missing was a hit single. His first of a handful of charting successes was “Shock”, which reached the top 40 in late 1982 and peaked in early 1983. Though it wasn’t the biggest of his releases, it would open the door for him and allowed “Sledgehammer” and “Big Time” from So to go top 5 nationally. Why did he have to share his baby with a “Monkey”? That was question on everyone’s minds during the summer of 1988 when this energetic single was released. Following three consecutive number-one singles from Faith (the title track, “Father Figure” and “One More Try”), this also topped the Hot 100 for two weeks, as well as the Hot Dance/Club Play survey for two weeks. It wasn’t as successful internationally. You may be wondering specifically about the gorilla itself when it comes to the record charts; after all, it is a larger species of the monkey family. While there have been a few singles released about the great monster King Kong, a gorilla, none were strong enough to make the top 40. That list includes “King Kong (Part 1)” by Jimmy Castor (#69, 1975), “Kong” by Dickie Goodman (#48, 1977), “Theme From King Kong (Part 1)” by the Love Unlimited Orchestra (#68, 1977) and “King Kong” by Jibbs featuring Chamillionaire (#54, 2006). It’s also worth mentioning that there was one minor single that mentioned the word “gorilla” by name, recorded by a now popular disc jockey of several syndicated shows. That would be Rick Dees and His Cast Of Idiots, who went to #56 in 1977 with “Dis-Gorilla (Part 1)”, the followup single to the #1 “Disco Duck”. Seems that not every animal was down with getting down back then. For more musical monkeys and chart trivia that can’t be caged, follow the blog below or click the “Get Social!” page to find PGTC on social media. Some songs by big artists naturally become hits. Others take a little more promotional push to rise up the charts. Some flop outright, but then, there are the lucky few that get a second chance and see that single revived on the national charts. For example, you might remember that “At This Moment” by Billy Vera & The Beaters went to #1 in early 1987, but you may not know that in its initial release, it peaked at a dismal #79 on the Hot 100 in the fall of 1981. This was, of course, before it was used on Family Ties and subsequently rereleased by Rhino Records. Though this kind of thing happened periodically in the 80’s, 1989 for some strange reason became the breakout year for this re-releasing of underperforming singles. 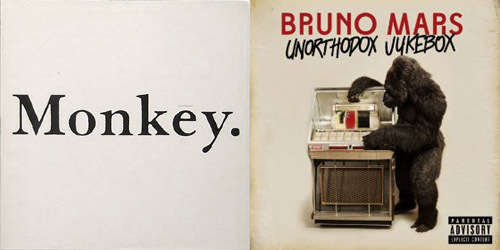 A few programmers of note helped to influence the trend; other singles were released just for the sake of being released. Prepare for a trip down memory lane as we take a look into our mystical and musical lost and found bin to see which treasures got plucked out again for a second spin. This Canadian band formed in 1979 and released only one self-titled album. The biggest single from it, “When I’m With You”, charted on the Hot 100 for seven weeks between May and June 1983, peaking at #61. The band proceeded to break up two years later. It was in the fall of 1988 that a disc jockey named Jay Taylor at KLUC-FM in Las Vegas that put the song back on the air again, stating that, “I always thought it should have been a big hit.” Well, the phones began to light up, and the word spread to nearby stations, who promptly put it into rotation. 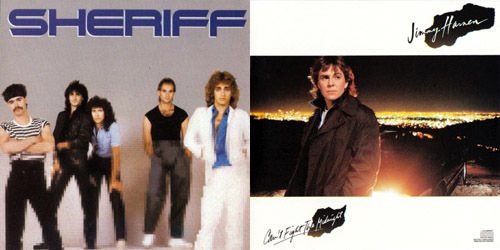 Eventually, Capitol Records began pressing the single again, and it re-charted in November 1988, reaching the top 40 on the chart dated December 17. By January of 1989, it was in the top ten, and then it hit the top spot for one glorious week. This, while lead singer Freddy Curci left the business and paid the bills by becoming a letter carrier in Canada, often hearing his voice on the radio when delivering the mail to workplaces. Of course, his customers didn’t actually believe it was him. With the success of the long-forgotten single, Curci and another former Sheriff member, Steve DeMarchi, formed another band, Alias, who hit the next year with the big hit “More Than I Can Say”. This all-female group from England released a remake of this much covered song (probably best known in a 1965 version by The Dixie Cups) and it became their debut single in the United Kingdom, peaking at #35 in June 1982. Their biggest success was with the song “Sign Of The Times”, which got to #3 in the U.K., but only went as high as #75 on the Hot 100 later that year. After a few more single releases that weren’t nearly as big, the band broke up in 1986. However, the song unexpectedly found new life when it was featured on the soundtrack to the 1988 movie Rain Man, starring Tom Cruise and Dustin Hoffman. A major hit at the box office, Capitol Records promoted the single release in the States, which made the Hot 100 starting in March 1989 before peaking at #14 in May. The group didn’t chart again. Well, look who it is! Jay Taylor and KLUC-FM struck again with this song, originally just a regional hit in the midwest, especially in Harnen’s home state of Pennsylvania. After being signed to Columbia Records, the label promoted the single, which debuted on the Hot 100 in March 1986 before climbing to a peak of #77 in April. It slowly descended the survey, spending a total of twelve weeks on. Taylor put it on the air again and listener response was once again big, so a sub-label of Epic Records, WTG, picked up the song, re-credited it to Jimmy Harnen with Synch (rather than just Synch as in the 1986 release) and sent it out to shops. It hit the Hot 100 once again in late February 1989, slowly climbing to a peak of #10 in June. (This is an interesting news reel clip which highlights the song and some members of the group as “Now” hit the top 40 in late April.) Harnen released a solo album, but it didn’t catch on, though he continued writing for a number of years afterward. Harnen is now the president of Republic Nashville Records, as well as the executive vice president for Big Machine Records. Ohio-born Mardones originally signed to Private Stock Records in 1978 before the label shut down, but was picked up by Polydor shortly afterward. They released his second album, Never Run, Never Hide, which featured “Into The Night”. It peaked at #11 on the Hot 100 in September 1980 during a long (at least for the time) twenty week chart run. Mardones fell off the radar almost immediately afterward due to drug abuse from his sudden fame. In 1989, KZZP-FM in Phoenix aired a “Where Are They Now?” type feature, the most popular artist covered on the segment being Mardones. Many people were intrigued to know about what was happening with him. This caught the attention of then-program director at Los Angeles radio station KQLZ-FM, “Pirate Radio”, Scott Shannon. When he was a disc jockey at WRBQ-FM in Tampa, Shannon had successfully returned Charlene‘s atrocious ballad “I’ve Never Been To Me” to the charts after flopping five years prior, which went to #3 in 1982. He thought he could do it again with yet another ballad, and so, he added it into rotation and soon it became a big hit once again. Re-entering in May 1989, it hit the #20 spot in a newer version, and though it didn’t top its original run, it propelled the song to become one of the most-played songs on FM radio of all-time. Mardones recorded new material after his brief resurgence, but nothing made the national charts. In 1983, this quartet from Melbourne, Australia managed a top ten hit in their native country, as well as two weeks in the #1 spot in New Zealand, with the original release of “Angel”. In the States, it crossed over several months later, debuting on the Hot 100 in mid-November before peaking at #29 for two weeks in February 1984 during a nineteen week chart run. Followup single “Catch Me I’m Falling” tanked, only reaching as high as #40. In 1989, as the band prepared a greatest hits package, the song was remixed slightly for a single release with some harder drums and a variation of the synth line (perhaps an updated keyboard) and once again, it climbed the charts. Returning to Hot 100 in May, it peaked in July at #26, three spots higher than the original release, before falling off by the end of the next month. The group had some success on Dance/Club Play chart after “Angel” got a second wind, but it was their last release to make the Hot 100. Two other songs were rereleased in 1989, but just missed the top 40 on their second try despite becoming minor hits in their first run on the charts. In the summer, Peter Gabriel‘s “In Your Eyes” went as high as #41 after being featured in the film Say Anything, starring John Cusack. Maybe you held up a boombox or two over your head and blasted the song so your significant other could hear it. (Actually, scratch that, the neighbors would probably call the police.) Then, in the fall, Australian band Moving Pictures returned to the #46 spot what “What About Me?”, a song that took its sweet time peaking during its original run from 1982 into 1983. It spent nearly half a year in the Hot 100 and peaked at #29, enough to make it on to the 1983 year-end countdown. Gabriel is still making music; Moving Pictures never made the Hot 100 again. For the best of everything that’s retro, keep it here on POP! Goes The Charts! Follow the blog and follow me on Twitter: @AdamFSoybel.